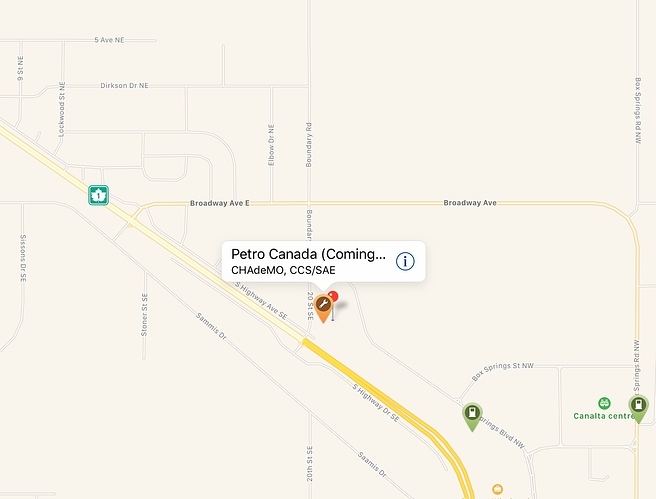 Is anyone familiar with the area or the history able to explain how they got that exact Google Maps location from “on Strachan Rd”? I don’t think so. 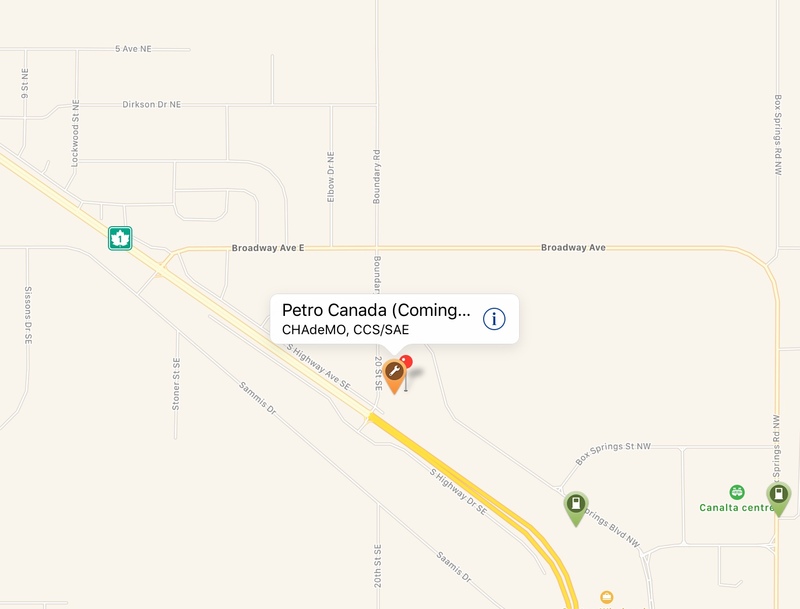 On PlugShare, this shows as one of the planned sites in NRCan’s funding bill, located here at a Petro-Canada. Now it appears that FB group has changed to closed. I just put in a request to join. We’ll see if they’ll have me. I have cousins in Saskatchewan who I visit and I travel through Alberta. They accepted me. 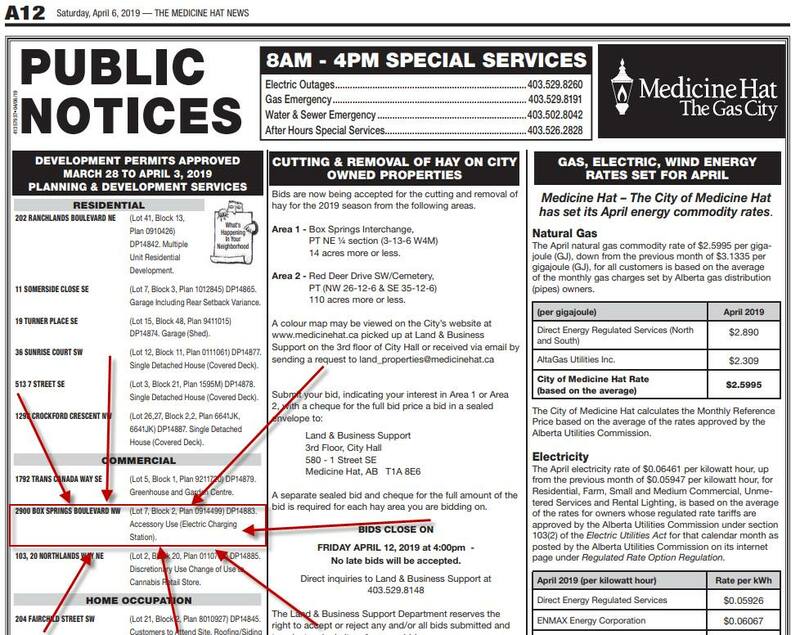 @chuq I’ll let you know if I see anything more on Medicine Hat.